Just finished this one in the Fethering Mystery series by Simon Brett. A very good whodunit, I really didn’t know the culprit until the reveal came together. In fact, I was off following another red herring for a good part of the book. 🙂 The misdirection was particularly well done in this outing of the series. As always the intrepid team of Jude and Carole work together, relying on their disparate talents to come together to solve the crime. The partnership of sleuths, Jude and Carole, really make these books for me. In this book, Carole becomes more aware of her place in the community of Fethering and succumbs to more of Jude’s influence. The characters of Jude and Carole are well crafted to give a humorous nod to stereotypical characters without being stereotypes themselves. The other characters have their own quirks and personalities creating a believable community set in the backdrop of Fethering, a British coastal village. 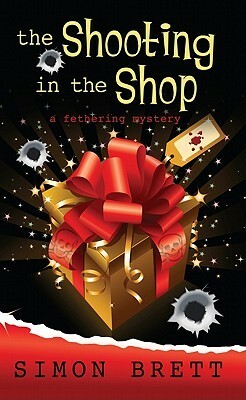 For readers of British village mysteries, particularly if you like some sly humor thrown in the mix.